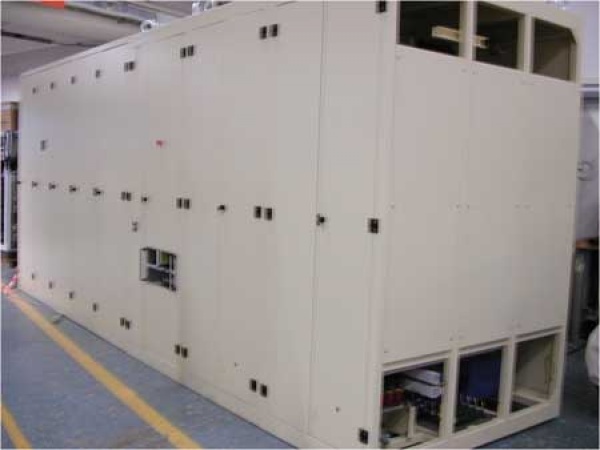 11 kV power distribution system and will require a step-down transformer, which is part of the contract. The step-down transformer must be oil cooled and housed in an outdoor transformer pen. The other power converters will be fed at 400 V.
For the storage ring dipole magnet power converter reproducibility is defined as the difference between the load current measured with an independent current transducer after 8 hours operation and the same load current measured one hour after the resumption of operation following a 16 hour break. The control and measurement electronics may remain energised throughout the period.